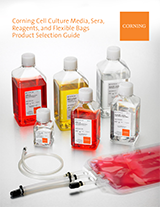 Corning is proud to offer a complete cell culture solution to our customers. 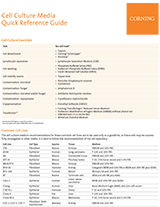 Our comprehensive line of high-quality bioprocess and laboratory research tools now includes Corning media for both standard and custom cell culture media, basal salt solutions, antibiotics, sera, specialty media, and flexible packaging systems. Corning offers a broad range of media solutions and molecular biology reagents for tissue and cell culture applications. 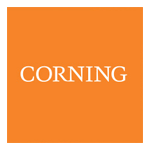 Corning media, combined with our comprehensive range of vessels and specialized surfaces, provides researchers and manufacturers with a full portfolio of products and custom solutions for all stages of cell culture growth and scaling.